Henry Potter directing Tamboo Bamboo as they rehearse for the annual "Panorama" steel band competition before the Miami Broward Carnival. Press Listen to hear the radio version of this report. These days Potter is the conductor of his own steel band in South Florida called Tamboo Bamboo. The name is based on an old-time bamboo dance in Trinidad. And the band is a family affair. Potter’s wife and daughter are also in Tamboo Bamboo. This Caribbean family is surrounded by steel pan music, a genre they wish was more commonplace. “Down here we’ve got so many island people and we don’t have that much interest. There is some but I would like it to be more,” Potter says. One of the steel pan instruments in Tamboo Bamboo. 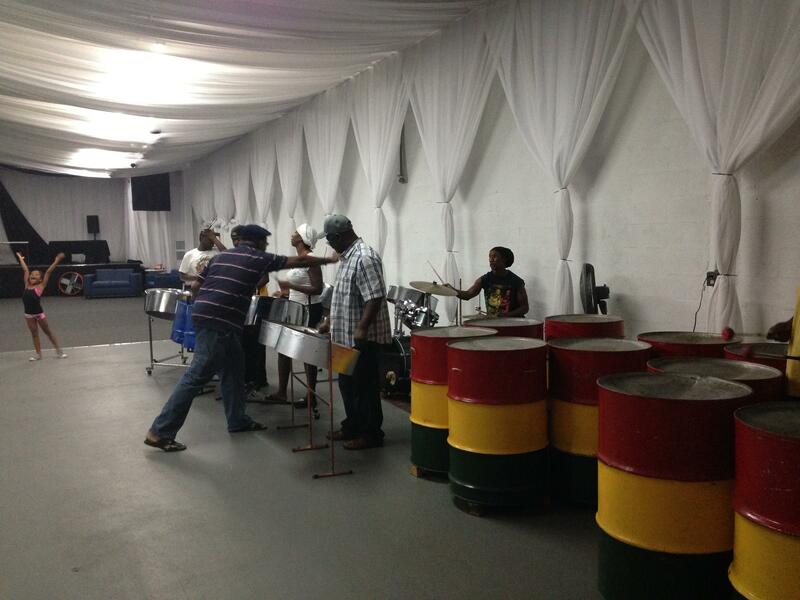 Tamboo Bamboo competed at the Miami Broward Carnival “Panorama” steel band competition last year. The band also competes in Canada and Virginia. But Potter's wife, Sharon, says it’s not just about the competition. “We like to perform. We like, we enjoy the music. We like, we enjoy what we do,” she says. Sharon is also from the Virgin Islands. She says she wants to see more West Indians playing pan in South Florida. “Whether it’s my band or whichever band, just taking part and just coming together the way it used to be. I mean, it has faded a little and now we’re trying to bring it back,” she says. The Potters' daughter, Julia, was born in New Orleans but spent most of her childhood in the Virgin Islands before coming to South Florida. A young girl dancing to the musical stylings of Tamboo Bamboo. There, she was surrounded by steel pan. “When I used to leave school, we used to run for a taxi and then go up to the pan yard and practice, practice, practice, and we practiced till like two in the morning. We just grew up with it. It’s in our blood, “ Julia says. Now that she lives in South Florida, she understands why pan isn’t as popular here. “A lot of island people come here and lose their culture, so we just try to keep it in the community so everybody can still say, ‘Hey, there’s still pan around, there’s still music around that you can enjoy,’” Julia says. One of the ways Tamboo Bamboo is trying to reach out to the community is through schools. 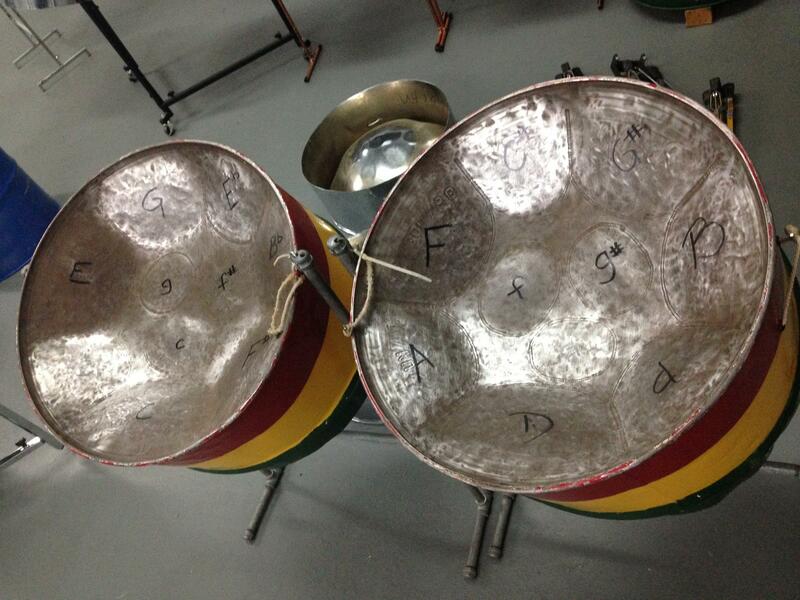 Julia remembers how important steel pan music was when she was going to primary school in the Virgin Islands. “If you’re not going to school and learning your lesson and after school going to play pan, then you’re not doing anything. Because it’s like, pan is always there. And they always involve music in school period,” she says. The band has started initiatives at local schools to get South Florida children involved. The Potters say students of all ages and backgrounds are welcome. “Black, white, blue, purple -- it doesn’t matter who you are. Just, come. We’ll be happy to teach you how to play,” Sharon says. Tamboo Bamboo and the Potters are playing in the “Panorama” competition this Friday at Central Broward Regional Park. The Miami Broward Carnival main event is Sunday at the Miami-Dade Fairgrounds. An earlier version of this story incorrectly stated that Tamboo Bamboo won the Miami Broward "Panorama" steel band competition last year. The winner was the band Pantastic. The walk up of parties for the Miami Broward Carnival weekend has officially begun. Still, the big parade at Sun Life Stadium with all the bands isn’t until Sunday and that means plenty of people are still hustling on the last minute preps, such as finishing the bright shiny costumes. Inside one garage in Miramar the sewing crew hums to soca beats as they glue yet another rhinestone onto another skirt of a Carnival costume. Music plays from the computer. I was born and raised in Miami, but my very Haitian mom always kept true to her roots — especially whenever I didn’t feel well. Have a sore throat? Sour orange leaves can fix that. A tummy ache? Freshly picked mint from the backyard will ease the pain. She is a believer of remed fey, or bush medicine. My mom comes from a line of Haitian women herbalists from Gonaives, Haiti. She learned from her mother, who learned from her mother, who learned from her mother and so on.